Collection of side stories from the manga 07-Ghost. Three chapters deal with first meetings among our main characters: Haruse and Kuroyuri (Platonic Cafe), Konatsu and Hyuuga (Aspiration), and Mikage and Teito (One Day, I saw the Sky). Laugh with Frau who loves to tease Teito, cry with Teito as he struggles with his inner pains, and smile with Mikage when he tries to put a smile on Teito's face as well. Each chapter is sure to touch one or two of your emotions. 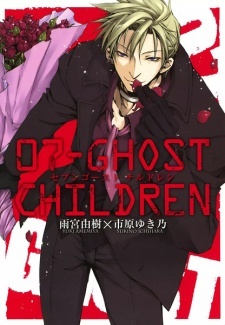 07-Ghost Children's art is consistent with that of the main series. Each story offers something new about character relationships. And of course, no chapter would end without a quotable quote. This is a must read for every 07-Ghost fan!